Europe is a continent that comprises the westernmost part of Eurasia. Europe is bordered by the Arctic Ocean to the north, the Atlantic Ocean to the west, and the Mediterranean Sea to the south. The eastern boundary with Asia is a historical and cultural construct, as there is no clear physical and geographical separation between them; Europe is generally considered as separated from Asia by the watershed divides of the Ural and Caucasus Mountains, the Ural River, the Caspian and Black Seas, and the waterways of the Turkish Straits. Yet the non-oceanic borders of Europe—a concept dating back to classical antiquity—are arbitrary. 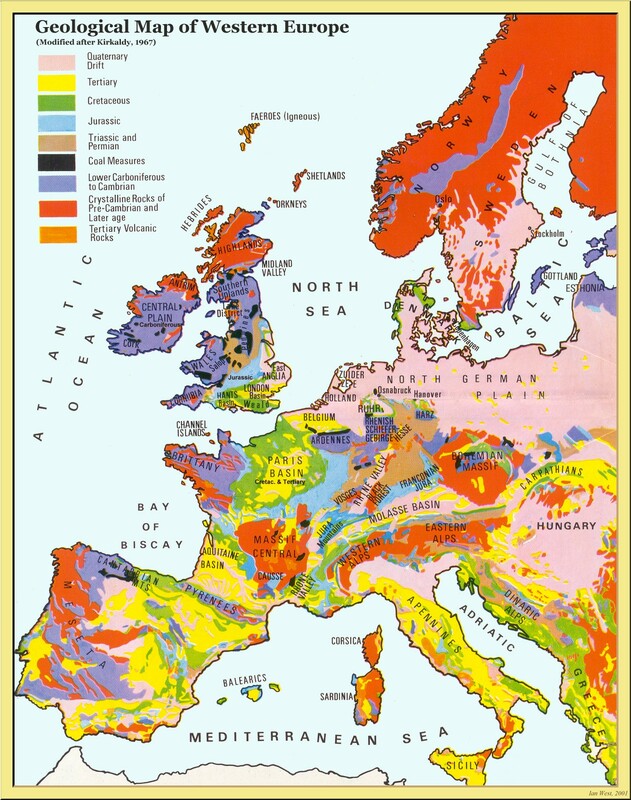 The primarily physiographic term "continent" as applied to Europe also incorporates cultural and political elements whose discontinuities are not always reflected by the continent's current overland boundaries. Europe covers about 10,180,000 square kilometres (3,930,000 sq mi), or 2% of the Earth's surface (6.8% of land area). Politically, Europe is divided into about fifty sovereign states of which the Russian Federation is the largest and most populous, spanning 39% of the continent and comprising 15% of its population. Europe had a total population of about 740 million (about 11% of world population) as of 2015[update]. Europe, in particular ancient Greece, was the birthplace of Western civilization. The fall of the Western Roman Empire, during the migration period, marked the end of ancient history and the beginning of an era known as the Middle Ages. Renaissance humanism, exploration, art, and science led to the modern era. From the Age of Discovery onwards, Europe played a predominant role in global affairs. Between the 16th and 20th centuries, European powers controlled at various times the Americas, most of Africa, Oceania, and the majority of Asia. The Industrial Revolution, which began in Great Britain at the end of the 18th century, gave rise to radical economic, cultural, and social change in Western Europe, and eventually the wider world. Both world wars took place for the most part in Europe, contributing to a decline in Western European dominance in world affairs by the mid-20th century as the Soviet Union and the United States took prominence. During the Cold War, Europe was divided along the Iron Curtain between NATO in the west and the Warsaw Pact in the east, until the revolutions of 1989 and fall of the Berlin Wall. In 1955, the Council of Europe was formed following a speech by Sir Winston Churchill, with the idea of unifying Europe to achieve common goals. It includes all states except for Belarus, Kazakhstan and Vatican City. Further European integration by some states led to the formation of the European Union, a separate political entity that lies between a confederation and a federation. The EU originated in Western Europe but has been expanding eastward since the fall of the Soviet Union in 1991. The currency of most countries of the European Union, the euro, is the most commonly used among Europeans; and the EU's Schengen Area abolishes border and immigration controls among most of its member states. The European Anthem is "Ode to Joy" and states celebrate peace and unity on Europe Day. In classical Greek mythology, Europa (Ancient Greek: Εὐρώπη, Eurṓpē) is the name of either a Phoenician princess or of a queen of Crete. The name contains the elements εὐρύς (eurús), "wide, broad" and ὤψ (ōps, gen. ὠπός, ōpós) "eye, face, countenance", hence their composite Eurṓpē would mean "wide-gazing" or "broad of aspect". Broad has been an epithet of Earth herself in the reconstructed Proto-Indo-European religion and the poetry devoted to it. For the second part compare also the divine attributes of "grey-eyed" Athena (γλαυκῶπις, glaukōpis) or ox-eyed Hera (βοὠπις, boōpis). There have been attempts to connect Eurṓpē to a Semitic term for "west", this being either Akkadian erebu meaning "to go down, set" (said of the sun) or Phoenician 'ereb "evening, west", which is at the origin of Arabic Maghreb and Hebrew ma'arav. Michael A. Barry, professor in Princeton University's Near Eastern Studies Department, finds the mention of the word Ereb on an Assyrian stele with the meaning of "night, [the country of] sunset", in opposition to Asu "[the country of] sunrise", i.e. Asia. The same naming motive according to "cartographic convention" appears in Greek Ανατολή (Anatolḗ "[sun] rise", "east", hence Anatolia). Martin Litchfield West stated that "phonologically, the match between Europa's name and any form of the Semitic word is very poor". Next to these hypotheses there is also a Proto-Indo-European root *h1regʷos, meaning "darkness", which also produced Greek Erebus. Most major world languages use words derived from Eurṓpē or Europa to refer to the continent. Chinese, for example, uses the word Ōuzhōu (歐洲/欧洲); a similar Chinese-derived term Ōshū (欧州?) is also sometimes used in Japanese such as in the Japanese name of the European Union, Ōshū Rengō (欧州連合? ), despite the katakana Yōroppa (ヨーロッパ?) being more commonly used. In some Turkic languages the originally Persian name Frangistan ("land of the Franks") is used casually in referring to much of Europe, besides official names such as Avrupa or Evropa. Islands are generally grouped with the nearest continental landmass, hence Iceland is generally considered to be part of Europe, while the nearby island of Greenland is usually assigned to North America. Nevertheless, there are some exceptions based on sociopolitical and cultural differences. Cyprus is closest to Anatolia (or Asia Minor), but is usually considered part of Europe both culturally and politically and is a member state of the EU. Malta was considered an island of North Africa for centuries. The first recorded usage of Eurṓpē as a geographic term is in the Homeric Hymn to Delian Apollo, in reference to the western shore of the Aegean Sea. As a name for a part of the known world, it is first used in the 6th century BC by Anaximander and Hecataeus. Anaximander placed the boundary between Asia and Europe along the Phasis River (the modern Rioni River) in the Caucasus, a convention still followed by Herodotus in the 5th century BC. Herodotus mentioned that the world had been divided by unknown persons into three parts, Europe, Asia, and Libya (Africa), with the Nile and the Phasis forming their boundaries—though he also states that some considered the River Don, rather than the Phasis, as the boundary between Europe and Asia. Europe's eastern frontier was defined in the 1st century by geographer Strabo at the River Don. The Book of Jubilees described the continents as the lands given by Noah to his three sons; Europe was defined as stretching from the Pillars of Hercules at the Strait of Gibraltar, separating it from North Africa, to the Don, separating it from Asia. A cultural definition of Europe as the lands of Latin Christendom coalesced in the 8th century, signifying the new cultural condominium created through the confluence of Germanic traditions and Christian-Latin culture, defined partly in contrast with Byzantium and Islam, and limited to northern Iberia, the British Isles, France, Christianised western Germany, the Alpine regions and northern and central Italy. The concept is one of the lasting legacies of the Carolingian Renaissance: "Europa" often[dubious – discuss] figures in the letters of Charlemagne's court scholar, Alcuin. Philip Johan von Strahlenberg in 1725 was the first to depart from the classical Don boundary by drawing the line along the Volga, following the Volga north until the Samara Bend, along Obshchy Syrt (the drainage divide between Volga and Ural) and then north along Ural Mountains. introducing the convention that would eventually become adopted as standard. In Russia and the Soviet Union, the boundary along the Kuma–Manych Depression was the most commonly used as early as 1906. In 1958, the Soviet Geographical Society formally recommended that the boundary between the Europe and Asia be drawn in textbooks from Baydaratskaya Bay, on the Kara Sea, along the eastern foot of Ural Mountains, then following the Ural River until the Mugodzhar Hills, and then the Emba River; and Kuma–Manych Depression, thus placing the Caucasus entirely in Asia and the Urals entirely in Europe. However, most geographers in the Soviet Union favoured the boundary along the Caucasus crest and this became the standard convention in the later 20th century, although the Kuma–Manych boundary remained in use in some 20th-century maps. Stonehenge in the United Kingdom (Late Neolithic from 3000 - 2000 BC). The Roman Empire at its greatest extent in 117 AD. The School of Athens by Raphael (1511): Contemporaries such as Michelangelo and Leonardo da Vinci (centre) are portrayed as classical scholars. The Renaissance and the New Monarchs marked the start of an Age of Discovery, a period of exploration, invention, and scientific development. Among the great figures of the Western scientific revolution of the 16th and 17th centuries were Copernicus, Kepler, Galileo, and Isaac Newton. According to Peter Barrett, "It is widely accepted that 'modern science' arose in the Europe of the 17th century (towards the end of the Renaissance), introducing a new understanding of the natural world." In the 15th century, Portugal and Spain, two of the greatest naval powers of the time, took the lead in exploring the world. Christopher Columbus reached the New World in 1492 and Vasco da Gama opened the ocean route to the East in 1498, and soon after the Spanish and Portuguese began establishing colonial empires in the Americas and Asia. France, the Netherlands and England soon followed in building large colonial empires with vast holdings in Africa, the Americas, and Asia. In May 1940, Germany attacked France through the Low Countries. France capitulated in June 1940. By August Germany began a bombing offensive on Britain, but failed to convince the Britons to give up. In 1941, Germany invaded the Soviet Union in the Operation Barbarossa. On 7 December 1941 Japan's attack on Pearl Harbor drew the United States into the conflict as allies of the British Empire and other allied forces. Therefore, the average temperature throughout the year of Naples is 16 °C (61 °F), while it is only 12 °C (54 °F) in New York City which is almost on the same latitude. Berlin, Germany; Calgary, Canada; and Irkutsk, in the Asian part of Russia, lie on around the same latitude; January temperatures in Berlin average around 8 °C (14 °F) higher than those in Calgary, and they are almost 22 °C (40 °F) higher than average temperatures in Irkutsk. Similarly, northern parts of Scotland have a tempertate marine climate. The yearly average temperature in city of Inverness is 9.05 °C (48.29 °F). However, Churchill, Manitoba, Canada, is on roughly the same latitude and has an average temperature of −6.5 °C (20.3 °F), giving it a nearly subarctic climate. Probably 80 to 90 percent of Europe was once covered by forest. It stretched from the Mediterranean Sea to the Arctic Ocean. Though over half of Europe's original forests disappeared through the centuries of deforestation, Europe still has over one quarter of its land area as forest, such as the broadleaf and mixed forests, taiga of Scandinavia and Russia, mixed rainforests of the Caucasus and the Cork oak forests in the western Mediterranean. During recent times, deforestation has been slowed and many trees have been planted. However, in many cases monoculture plantations of conifers have replaced the original mixed natural forest, because these grow quicker. The plantations now cover vast areas of land, but offer poorer habitats for many European forest dwelling species which require a mixture of tree species and diverse forest structure. The amount of natural forest in Western Europe is just 2–3% or less, in European Russia 5–10%. The country with the smallest percentage of forested area is Iceland (1%), while the most forested country is Finland (77%). Several dependencies and similar territories with broad autonomy are also found within or in close proximity to Europe. This includes Åland (a region of Finland), two constituent countries of the Kingdom Denmark (other than Denmark itself), three Crown dependencies, and two British Overseas Territories. Svalbard is also included due to its unique status within Norway, although it is not autonomous. Not included are the three countries of the United Kingdom with devolved powers and the two Autonomous Regions of Portugal, which despite having a unique degree of autonomy, are not largely self-governing in matters other than international affairs. Areas with little more than a unique tax status, such as Heligoland and the Canary Islands, are also not included for this reason. The European Union, a political entity composed of 28 European states, comprises the largest single economic area in the world. 18 EU countries share the euro as a common currency. Five European countries rank in the top ten of the world's largest national economies in GDP (PPP). This includes (ranks according to the CIA): Germany (5), the UK (6), Russia (7), France (8), and Italy (10). The states which retained a free-market system were given a large amount of aid by the United States under the Marshall Plan. The western states moved to link their economies together, providing the basis for the EU and increasing cross border trade. This helped them to enjoy rapidly improving economies, while those states in COMECON were struggling in a large part due to the cost of the Cold War. Until 1990, the European Community was expanded from 6 founding members to 12. The emphasis placed on resurrecting the West German economy led to it overtaking the UK as Europe's largest economy. In 2016, the population of Europe was estimated to be 738 million according to the United Nations, which is slightly more than one-ninth of the world's population. A century ago, Europe had nearly a quarter of the world's population. The population of Europe has grown in the past century, but in other areas of the world (in particular Africa and Asia) the population has grown far more quickly. Among the continents, Europe has a relatively high population density, second only to Asia. The most densely populated country in Europe (and in the world) is the microstate of Monaco. Pan and Pfeil (2004) count 87 distinct "peoples of Europe", of which 33 form the majority population in at least one sovereign state, while the remaining 54 constitute ethnic minorities. According to UN population projection, Europe's population may fall to about 7% of world population by 2050, or 653 million people (medium variant, 556 to 777 million in low and high variants, respectively). Within this context, significant disparities exist between regions in relation to fertility rates. The average number of children per female of child bearing age is 1.52. According to some sources, this rate is higher among Muslims in Europe. The UN predicts a steady population decline in Central and Eastern Europe as a result of emigration and low birth rates. Europe is home to the highest number of migrants of all global regions at 70.6 million people, the IOM's report said. In 2005, the EU had an overall net gain from immigration of 1.8 million people. This accounted for almost 85% of Europe's total population growth. The European Union plans to open the job centres for legal migrant workers from Africa. [dated info] In 2008, 696,000 persons were given citizenship of an EU27 member state, a decrease from 707,000 the previous year. Today, large populations of European descent are found on every continent. European ancestry predominates in North America, and to a lesser degree in South America (particularly in Uruguay, Argentina, Chile and Brazil, while most of the other Latin American countries also have a considerable population of European origins). Australia and New Zealand have large European derived populations. Africa has no countries with European-derived majorities (or with the exception of Cape Verde and probably São Tomé and Príncipe, depending on context), but there are significant minorities, such as the White South Africans. In Asia, European-derived populations predominate in Northern Asia (specifically Russians), some parts of Northern Kazakhstan and Israel. Slavic languages are most spoken by the number of native speakers in Europe, they are spoken in Central, Eastern, and Southeastern Europe. Romance languages are spoken primarily in south-western Europe as well as in Romania and Moldova, in Eastern Europe. Germanic languages are spoken in Northern Europe, the British Isles and some parts of Central Europe. Many other languages outside the three main groups exist in Europe. Other Indo-European languages include the Baltic group (that is, Latvian and Lithuanian), the Celtic group (that is, Irish, Scottish Gaelic, Manx, Welsh, Cornish, and Breton), Greek, Armenian, and Albanian. In addition, a distinct non-Indo-European family of Uralic languages (Estonian, Finnish, and Hungarian) is spoken mainly in Estonia, Finland, and Hungary, while Kartvelian languages (Georgian, Mingrelian, and Svan), are spoken primarily in Georgia, and two other language families reside in the North Caucasus (termed Northeast Caucasian, most notably including Chechen, Avar and Lezgin and Northwest Caucasian, notably including Adyghe). Maltese is the only Semitic language that is official within the EU, while Basque is the only European language isolate. Turkic languages include Azerbaijani and Turkish, in addition to the languages of minority nations in Russia. Europe is also the birthplace of the Western civilisation and culture. Although differencies exist from south to north and from east to west, have the different European people learned to know about each other through thousands of years. Not always peacefully however. But this can for instance be seen in the translation of names of other people, other countries, provinces and as well in towns and cities. Vienna is called "Wien" in German, Rome is called "Roma" in Italian, Brittany is called "Bretagne" in French, Poland is called "Polska" in Polish and (most of) the Spaniards are calling themselves "Españoles" etc. Translations of such names (by Europeans) in other civilisations are very rare. (And those who appear to be translated are instead usually invented or changed by Europeans, like for instance Johannesburg) Music, classical as well as hymns, and art have crossed language borders for centuries. Europeans traditionally eat with a knife in their right hand and a fork in the left - which can be compared with how east Asians eat with chopsticks. Most Europeans consider Football as the most popular sport in their respective countries. Much of European culture can also be found in America and at other places which the Europeans have populated. Europeans have though also imported importaint matters, like the figures, from the Arabs. (And the Arabs had got them from the Persians, who had got them from Sanskrit) But almost all languages spoken in Europe gives credit to the Arabs for the figures. Also the use of inventions and science have spread across the continent from the "Old Greeks" like Archimedes and Pythagoras to Isaac Newton, Carl von Linneus, Niels Bohr and Wilhelm Röntgen, just to mention a few. And most of the exploration of the world must also be counted as a European invention which indeed has affected European culture. Europe has become a relatively secular continent, with an increasing number and proportion of irreligious, atheist and agnostic people, who make up about 18.2% of Europe's population, actually the largest secular population in the Western world. There are a particularly high number of self-described non-religious people in the Czech Republic, Estonia, Sweden, former East Germany, and France. ^ Armenia can be considered part of Eastern Europe and/or Western Asia; it has strong historical and sociopolitical connections with Europe. The population and area figures include the entire state respectively. ^ Azerbaijan can be considered part of Europe and/or Western Asia. However the population and area figures are for the entire state. This includes the exclave of the Nakhchivan Autonomous Republic and the region Nagorno-Karabakh that has declared, and de facto achieved, independence. Nevertheless, it is not recognised de jure by sovereign states. ^ Georgia can be considered part of Eastern Europe and/or West Asia; it has strong historical and sociopolitical connections with Europe. The population and area figures include Georgian estimates for Abkhazia and South Ossetia, two regions that have declared and de facto achieved independence. International recognition, however, is limited. ^ a b Abkhazia and South Ossetia, both of which can be considered part of Eastern Europe and/or West Asia unilaterally declared their independence from Georgia on 25 August 1990 and 28 November 1991 respectively. Their status as sovereign nations is not recognised by a vast majority of sovereign nations, nor the UN. Population figures stated as of 2003 census and 2000 estimates respectively. ^ Nagorno-Karabakh, which can be considered part of Eastern Europe and/or West Asia, unilaterally declared its independence from Azerbaijan on 6 January 1992. Its status as a sovereign nation is not recognised by any sovereign nation, nor the UN. Population figures stated as of 2003 census and 2000 estimates respectively. ↑ Language facts – European day of languages, Council of Europe. Retrieved 30 July 2015. ↑ Istanbul is a transcontinental city in Eurasia, with its commercial and historical centre and about two-thirds of the population lying on the European side, and about one-third of its population living on the Asian side of Eurasia. ↑ Annual Population of Urban Agglomerations with 300,000 Inhabitants or More in 2014, by Country, 1950-2030 (thousands), World Urbanization Prospects, the 2014 revision, Population Division of the United Nations Department of Economic and Social Affairs. Retrieved 21 August 2015. Note: List based on estimates for 2015, from 2014. ↑ National Geographic Atlas of the World (7th ed.). Washington, DC: National Geographic. 1999. ISBN 0-7922-7528-4. <templatestyles src="Module:Citation/CS1/styles.css"></templatestyles> "Europe" (pp. 68–9); "Asia" (pp. 90–1): "A commonly accepted division between Asia and Europe ... is formed by the Ural Mountains, Ural River, Caspian Sea, Caucasus Mountains, and the Black Sea with its outlets, the Bosporus and Dardanelles." ↑ "World Populations Prospects, the 2015 RevisionS". United Nations - Department of Economic and Social Affairs - Population Division. ↑ 9.0 9.1 National Geographic, 534. ↑ The European union—a federation or a confederation? ↑ εὐρύς, Henry George Liddell, Robert Scott, A Greek-English Lexicon, on Perseus. ↑ ὤψ, Henry George Liddell, Robert Scott, A Greek-English Lexicon, on Perseus. ↑ "Europe" in the Online Etymology Dictionary. ↑ Michael A. Barry: "L’Europe et son mythe : à la poursuite du couchant". In: Revue des deux Mondes (November/December 1999) p. 110. ISBN 978-2-7103-0937-6. ↑ M. L. West (1997). The east face of Helicon: west Asiatic elements in Greek poetry and myth. Oxford: Clarendon Press. p. 451. ISBN 0-19-815221-3. <templatestyles src="Module:Citation/CS1/styles.css"></templatestyles>. ↑ I. G. Kidd (ed. ), Posidonius: The commentary, Cambridge University Press, 2004, ISBN 978-0-521-60443-7, p. 738. ↑ E. M. Moores, R. W. Fairbridge, Encyclopedia of European and Asian regional geology, Springer, 1997, ISBN 978-0-412-74040-4, p. 34: "most Soviet geographers took the watershed of the Main Range of the Greater Caucasus as the boundary between Europe and Asia." ↑ Bulliet et al. 2011, p. 250. ↑ Brown, Anatolios & Palmer 2009, p. 66. ↑ 73.0 73.1 National Geographic, 158. ↑ The Late Middle Ages November 2015/https://web.archive.org/web/20151102090226/http://www.oglethorpe.edu/faculty/%7Eb_smith/ou/bs_foundations_chapter9.htm Archived November 2, 2015 at the Wayback Machine. Oglethorpe University. ↑ Baumgartner, Frederic J. France in the Sixteenth Century. London: MacMillan Publishers, 1995. ISBN 0-333-62088-7. ↑ W. G. Clarence-Smith (2006). "Islam And The Abolition Of Slavery". Oxford University Press. p.13. ISBN 0-19-522151-6 — "Lands to the north of the Black Sea probably yielded the most slaves to the Ottomans from 1450. A compilation of estimates indicates that Crimean Tartars seized about 1,750,000 Ukrainians, Poles, and Russians from 1468 to 1694." ↑ "Scientific Revolution: Chronological Timeline: Copernicus to Newton". Retrieved 23 June 2012. ↑ 211.0 211.1 Unemployment statistics. Eurostat. April 2012. ↑ Christoph Pan, Beate Sibylle Pfeil, Minderheitenrechte in Europa. Handbuch der europäischen Volksgruppen (2002). Living-Diversity.eu July 2011/https://web.archive.org/web/20110720164413/http://www.living-diversity.eu/Introduction.html Archived July 20, 2011 at the Wayback Machine, English translation 2004. ↑ "EU27 Member States granted citizenship to 696 000 persons in 2008 September 2014/https://web.archive.org/web/20140906072250/http://epp.eurostat.ec.europa.eu/cache/ITY_PUBLIC/3-06072010-AP/EN/3-06072010-AP-EN.PDF Archived September 6, 2014 at the Wayback Machine" (PDF). Eurostat. 6 July 2010. ↑ Caltron J.H Hayas, Christianity and Western Civilization (1953),Stanford University Press, p.2: That certain distinctive features of our Western civilization — the civilization of western Europe and of America— have been shaped chiefly by Judaeo – Graeco – Christianity, Catholic and Protestant. ↑ Jose Orlandis, 1993, "A Short History of the Catholic Church," 2nd edn. (Michael Adams, Trans. ), Dublin:Four Courts Press, ISBN 1851821252, preface, see , accessed 8 December 2014. ↑ Thomas E. Woods and Antonio Canizares, 2012, "How the Catholic Church Built Western Civilization," Reprint edn., Washington, D.C.:Regnery History, ISBN 1596983280, PG. NOS., see accessed 8 December 2014. p.1: "Western civilization owes far more to Catholic Church than most people - Catholic included - often realize. The Church in fact built Western civilization." ↑ Council of Europe "47 countries, one Europe". Archived from the original on 8 January 2011. Retrieved 9 January 2011. <templatestyles src="Module:Citation/CS1/styles.css"></templatestyles>, British Foreign and Commonwealth Office "Country profiles › Europe › Georgia". Archived from the original on 31 December 2010. Retrieved 9 January 2011. <templatestyles src="Module:Citation/CS1/styles.css"></templatestyles>, World Health Organization , World Tourism Organization , UNESCO , UNICEF , UNHCR , European Civil Aviation Conference "Member States". Archived from the original on 23 July 2013. Retrieved 9 January 2011. <templatestyles src="Module:Citation/CS1/styles.css"></templatestyles>, Euronews , BBC , NATO , Russian Foreign Ministry , the World Bank . ↑ The UN Statistics Department  places Georgia in Western Asia for statistical convenience : "The assignment of countries or areas to specific groupings is for statistical convenience and does not imply any assumption regarding political or other affiliation of countries or territories." The CIA World Factbook ,National Geographic, and Encyclopædia Britannica also place Georgia in Asia. This page was last modified on 21 July 2017, at 03:49.